"We believe that our newly-developed Physician Owned Intraoperative Neuromonitoring Team Business Solutions may prove to be beneficial for many surgeons," states Dr. T.V. Seshan, founder and clinical director of Neuro Alert. "We will show busy healthcare providers how to increase their profitability, enhance operational efficiency and retain their own neurotechnologist, which may result in improved care and improved clinical outcomes. We can't wait to share our ideas with spine care experts." WHITE PLAINS, N.Y., Oct. 8, 2013 (SEND2PRESS NEWSWIRE) — Neuro Alert, a premier healthcare organization providing neuromonitoring services for surgeons and hospitals throughout the United States, is pleased to announce its participation in The North American Spine Society (NASS) 28th Annual Meeting. The upcoming event will be held October 9-12, 2013, at Ernest N. Morial Convention Center in New Orleans, La. That’s where visitors from across the world will convene to share their insights, ideas and information about the latest techniques, procedures and technologies in spine care. Thousands of attendees will gain access to best practices and state-of-the-art training which will enable them to grow professionally and propel their organizations forward. In addition to their efforts to increase awareness and communicate the value of intraoperative neurophysiological monitoring (IONM), Neuro Alert’s representatives will reveal new strategies designed to assist entrepreneurial physicians in the formation and operation of IONM businesses. This year, the trade show will feature more than 500 presentations, informative sessions for allied health professionals, a variety of workshops, as well as cutting-edge research and special groups discussions. Neuro Alert is a physician-owned and operated company providing intraoperative neurophysiological monitoring (IONM) services for surgeons, surgical groups and hospitals since 2006. The rapidly-growing Westchester NY-based organization was founded by Dr. T.V. Seshan – a renowned physician, specializing in physical medicine and rehabilitation and a pioneer in intraoperative monitoring (IONM). The simple yet crucial monitoring procedures, offered by Neuro Alert, are set up to detect any neurological deficits during major surgeries, allowing surgeons to gain instant feedback about their patient’s condition and avert potential adverse affects. Neuro Alert consists of a team of experienced and highly-skilled physicians and technical professionals who work together to enhance treatment precision, reduce physician liability and ensure patient safety. 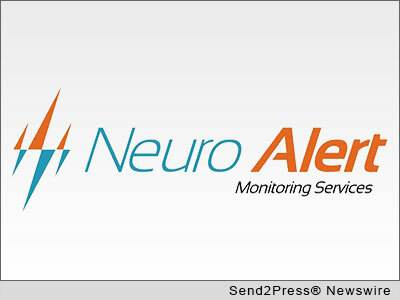 For more information about Neuro Alert, please visit http://neuroalert.com/ or call (888) 787-6267. Original Keywords: Neuro Alert, intraoperative monitoring, The North American Spine Society, Dr. T.V. Seshan, spine care, neuromonitoring services for surgeons and hospitals, Karthik Seshan Neuro Alert White Plains New York WHITE PLAINS, N.Y.
REFERENCES: Business News, Neuro Alert, intraoperative monitoring, The North American Spine Society, Dr. T.V. Seshan, spine care, neuromonitoring services for surgeons and hospitals, Karthik Seshan Neuro Alert White Plains New York WHITE PLAINS, N.Y.